The war is over. The killing continues. 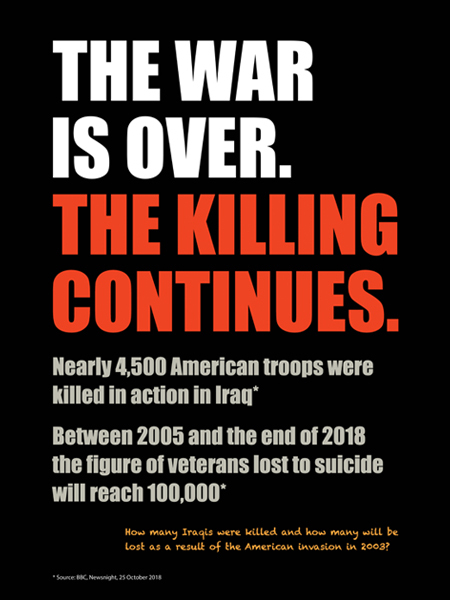 Nearly 4,500 American troops were killed in Iraq. Between 2005 and the end of 2018 the figure of veterans lost to suicide will reach 100,000. Source: BBC, Newsnight, 25 October 2018. How many Iraqis were killed and how many will be lost as a result of the American invasion in 2003?